Mom will need a few posed, traditional photos, but other then that, I like to keep the images looking real and raw. I love connecting with my brides on a personal level and becoming a friend throughout the planning process. I am known to text and email my brides just to check in and see how planning is going. I know it is A LOT. And I want to do what I can to help you along the way. Is it obvious I love my job? My collections are priced methodically, mainly so I can survive in Denver as a full time wedding photographer (and invest all of my time in making your experience amazing, and your photos incredible). As a part-time photographer my work was stretched thin, and going full time was the best decision I ever made for my brides. Let's face it, weddings are an investment, and photography is no exception to the rule. And you may call me bias... but I believe that photography is worth it. 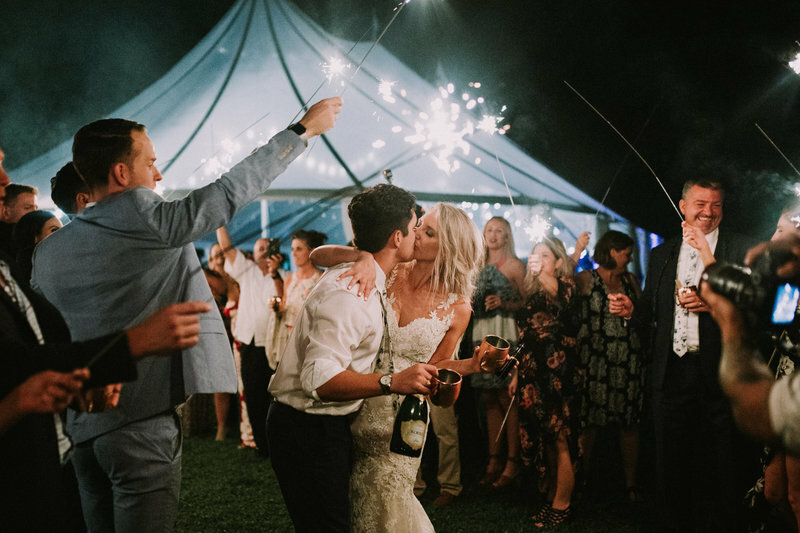 Not just because you will love to hang a pretty picture or two on your wall, but because your photography is the only thing that you will have once the wedding is over. And not just for tomorrow, but for the rest of your life, and your kids lives, and their kids and... okay we might be robots by that point. But those robots will look upon your photos lovingly. I believe that weddings are a celebration of an important commitment and I’m drawn to the love that surrounds them. I make it my goal to capture the images of the look in your eyes when your groom makes you laugh, when your grandma tears up during the ceremony, and when the groomsmen embarrass themselves on the dance floor. A: No, we do not. I eliminate duplicate images, test shots, missed focused shots, shots with bad expressions and other images that may dilute the overall product delivery. For example, because we shoot with low apertures, sometimes we take a few extra shots to make sure we have the perfect focus. We don’t expect you to want to dig through thousands of images to find the best ones, so we spend hours doing that on our end. In another example, candid laughs and emotional tears are some of the best images from the day. A: We have shot at tons of venues in Colorado, so there is a good chance that we have. However, if we have not, I will schedule a visit with the venue to perform a thorough walk-through to scout out the best photography locations. We also do extensive online research prior to your big day. A: While Catherine Lea Photography is set out of Denver, we serve clients all around the world. Our destination wedding photography packages include the cost of travel and reasonable accommodations. Because of our frequent trips to Texas, special, lower rates may apply depending on the specific circumstances. Contact us by clicking here. Q: Are engagements included in your packages? The majority of my packages include complimentary engagement sessions. Why? Because I believe they are a) a blast b) a great way for us to get to know each other, and c) get you and your fiancé comfortable in front of the camera so you know exactly what to expect the day of the wedding. Please note in most cases, engagements will need to be held Monday - Thursday because weddings typically dominate my weekends. I am a Canon gal, and use their very best equipment. I use mostly L series Canon lenses. This is common question, and is sometimes misunderstood by both photographers and clients. Copyright simply means that I am the creator of the images and I "own" the copyright. Selling or obtaining the copyright is not possible, but you have the ability to print and share your images as much as you like! This is outlined as the 'Release' in my contract. Yes! No worries here. I'm covered! Q. When should we book you for our wedding? ASAP. Brides are booking sooner and sooner each year. Most of the time 12-15 months in advance. Since I can not 'hold' your date, I highly recommend you book with someone as soon as you can.